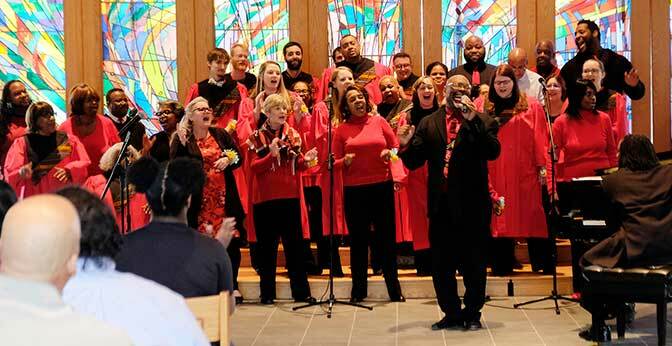 The LSTC Gospel Choir, led by Keith “Doc” Hampton, hosts guest choirs and artists for the 31st Annual LSTC Benefit Concert. For nearly 25 years, the annual concert has been a benefit for the Grover Wright Scholarship Fund. Since 1994, more than 45 scholarships have been awarded to students of color supporting the education that undergirds their ministry. Students will be awarded this year’s scholarships during the concert. Join in the praise and be moved by the spirit. A freewill offering will be gathered to support The Grover Wright and Rev. Carole A. Burns Scholarship Funds. You may make a gift here by choosing which scholarship(s) you wish to support.